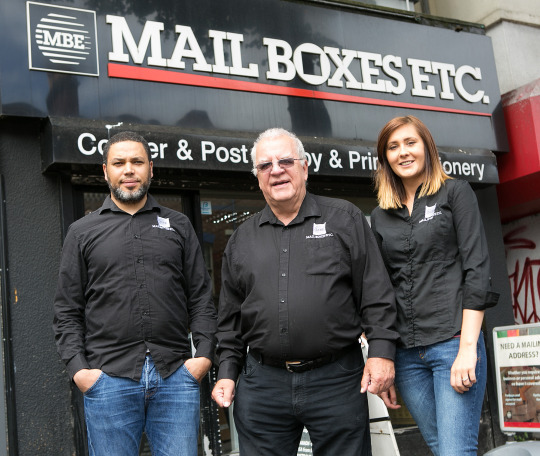 A local retailer has pledged to step in to help residents and businesses affected by the imminent closure of the Post Office at 1 – 5 Botanic Avenue, South Belfast. Owner of the Mail Boxes Etc. store at 21 Botanic Avenue, Girvin Vincent, said he and his team would be delighted to help customers with stamps, stationery and packaging materials, post and parcel services. “We’re saddened to learn that this community is being afflicted by yet another Post Office closure,” said Girvin, whose store has served the area for 16 years, “and we want to help local residents and businesses who will be hit by the loss of this local facility. “We offer a full range of Royal Mail postal services in our store. Whether it’s a book of First or Second Class stamps, a Special Delivery™ or Recorded Signed For item, Airmail, Tracked international mail, parcels and packets for despatch across the UK or worldwide, we can help. We also collect and frank business mail to save customers the expense of renting a franking machine. The closure of the Botanic Avenue Post office branch takes effect on 15 July.